What began as a fun way to showcase members of the Fort Worth Art Dealer’s Association (FWADA) has grown into a city-wide event with bus tours, “off Gallery Night” shows and after parties. 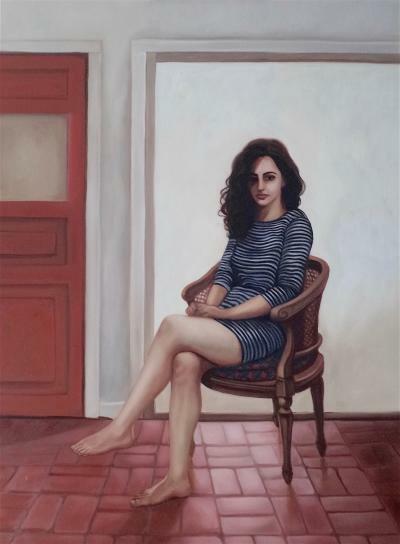 More than a dozen carefully curated shows run concurrently March 24 as part of Spring Gallery Night. Here’s an overview. 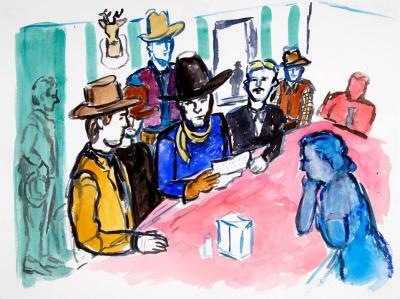 Artspace 111 will feature two shows: The Law of the Saddle, Western-themed works by Linda Blackburn, and Out of Reverence or Disregard, a series of works on paper by Ty Wilcox that explores mankind’s desires to push the boundaries of what is possible. Fort Works Art (always one of my favorite stops) will have three shows that day - Out of Focus, My Eyes are Up Here, and The Sentimental Circus - that will cover the topics ranging from cultural identity to the female experience and ’80s pop culture. If you can&apos;t make it out on Gallery Night, all three exhibitions will run through May 5. 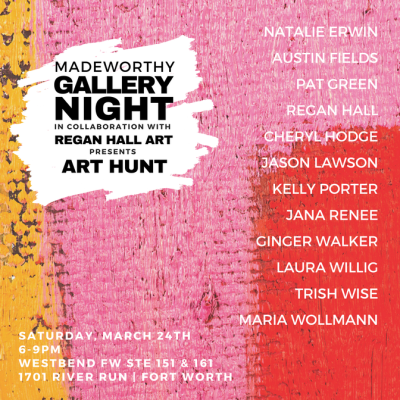 The mom mavens behind Tanglewood Moms and Madeworthy Magazine have partnered with Regan Hall Art to present ART HUNT, a showcase of 12 established and emerging artists. Country superstar and local art gallery proprietor Pat Green will be showing his artworks along with glass sculptor Austin Fields, painter Jana Renee, Kelly Porter and several others. The event will be held at the WestBend development (suites 151 and 161) from 6-9 p.m. The Art Tooth pArty Bus is a sophisticated booze cruise on wheels. This year, the chartered ride will visit six stops, including the Fort Worth Community Arts Center, with a final after-party destination at BLACKHOUSE that will feature a “secret” DJ. Don&apos;t delay; tours sell out quickly. 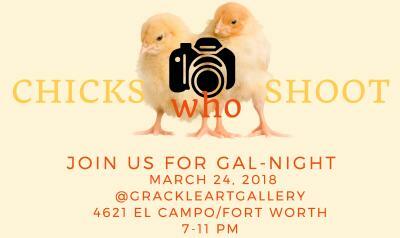 Grackle Art Gallery is hosting an all-woman photography show, "Chicks Who Can Shoot," from 7-11 p.m. Eleven participating artists, including local photographers Alicia Wells and Kelle Moulton, explore how gender stereotypes, science, and psychology influence how women approach photography compared to their male counterparts. 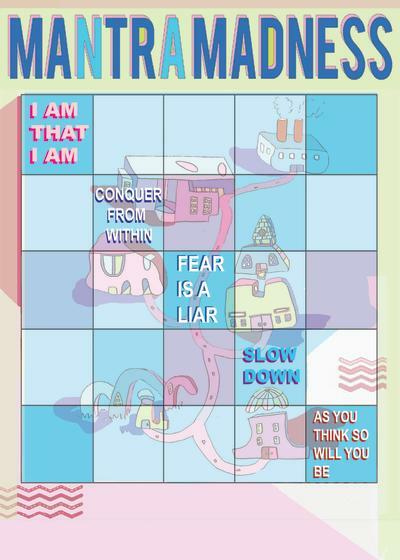 The Foundry District will be the scene of Mantra Madness (a mural-based BINGO challenge) from 5-8 p.m. The evening will also feature the unveiling of six new murals along Inspiration Alley in addition to the 28 mini-murals. Food and drinks will be available for purchase. Save room on your Gallery Night dance card for BLACKHOUSE’s after party from 10 p.m. to 2 a.m. The late night shindig and dance party is a great way to meet and mingle with Fort Worth artists and creatives. In addition to Artspace 111 and Fort Works Art, SiNaCa Studios, and William Campbell Contemporary Art are two more FWADA members hosting larger events that should top anyone’s list of stops that day.